Neem oil is a vegetable oil extracted from the fruits and seeds of neem tree. Neem oil is highly effective in treating dandruff. This wonderful oil makes your scalp smooth. Itchy scalp due to dandruff can be cured by the application of neem oil. Harsh chemicals present in shampoos and conditioners for treating dandruff can make the condition worse. So, be careful while using any chemical-based shampoo/conditioner for treating dandruff. Neem for dandruff is a much safer option! 1. Wash your hair properly. Apply a handful of apple cider vinegar to your scalp. Leave it for a minute or two. Rinse and partially dry your hair. Then apply a little amount of neem oil to your scalp and dry it off with a clean towel. 2. You can make your own neem shampoo at home by adding 1/2 tsp of neem oil in your regular shampoo bottle. Gently shake the bottle for mixing the ingredients. Apply this shampoo weekly once for best results. 3. Concentrated neem oil can be too strong for your scalp. Try mixing it with other oils like coconut oil, olive oil or jojoba oil before applying it to your scalp. 4. You can apply less concentrated neem oil directly on your scalp. Shampoo your hair after leaving it for an hour. 5. Mix a capful of neem oil and a tablespoon of olive oil. Apply it on your scalp and shampoo after 20 minutes. The mixture is also a good hair conditioner. 6. Mix neem oil, tea tree oil and basil oil in equal quantities. Apply the mixture on to your scalp. This oil is suitable for all types of hair. 7. Mix rosemary oil, tea tree oil and neem oil in equal proportions. Apply it to your scalp. Shampoo it after 2 hours. 8. 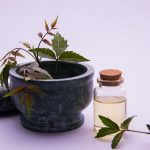 Neem oil promotes hair growth. Mix few drops of neem oil, few leaves of bnasil, 1 tsp bhringaraj, 1 tsp shikakai and 1 tsp fenugreek powder in a clean bowl. Apply it all over your scalp and hair. Wash it off after few hours. This paste has anti-fungal and anti-bacterial properties. This mixture helps in curing dandruff and nourishing hair roots. 9. Mix neem oil and lemon peel in a clean bowl. 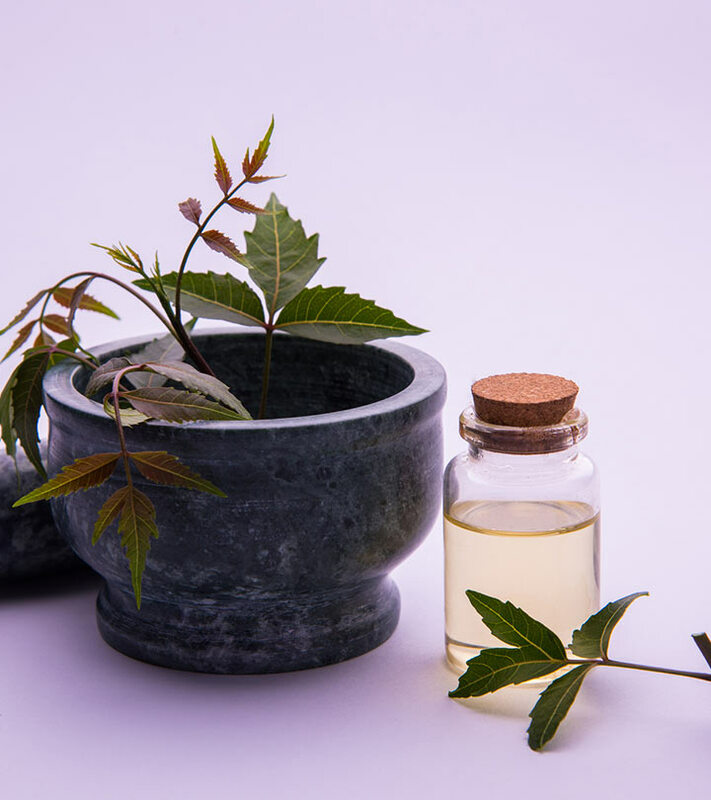 Neem oil is effective in treating scalp infections. Regular use of this solution keeps your scalp healthy and dandruff-free. Lemon peel aids in preventing scalp infections. It also keeps your hair healthy. This solution is non-sticky and also moisturizes your hair from deep within. 10. Mix few drops of neem oil and 1 cup of curd. Apply this paste on your scalp and hair. Wash it off after 20 minutes. This paste works great in treating itchy scalp. Store neem oil in a cool, dry place. It is recommended to do a patch test first before you apply neem oil to your scalp. Neem oil can be used to protect stored grains and legumes. It is also used as an effective insecticide. 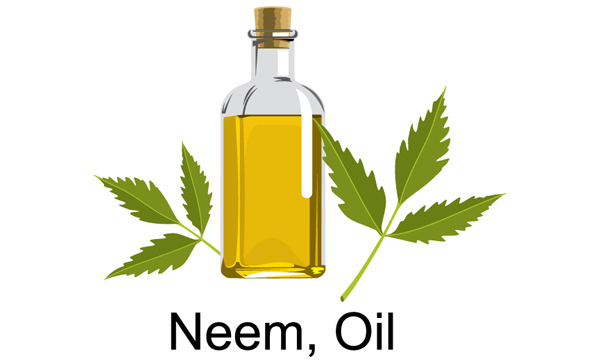 This are the different ways you can use neem oil for hair dandruff prevention and reduction! Please share your experience after trying the above mentioned tips to reduce dandruff. Dandruff is a common problem and many people are looking for effective solutions to cure it. The key to healthy hair is a healthy scalp. And what helps you achieve this? A good scalp shampoo. Which is why, without further ado, read on.